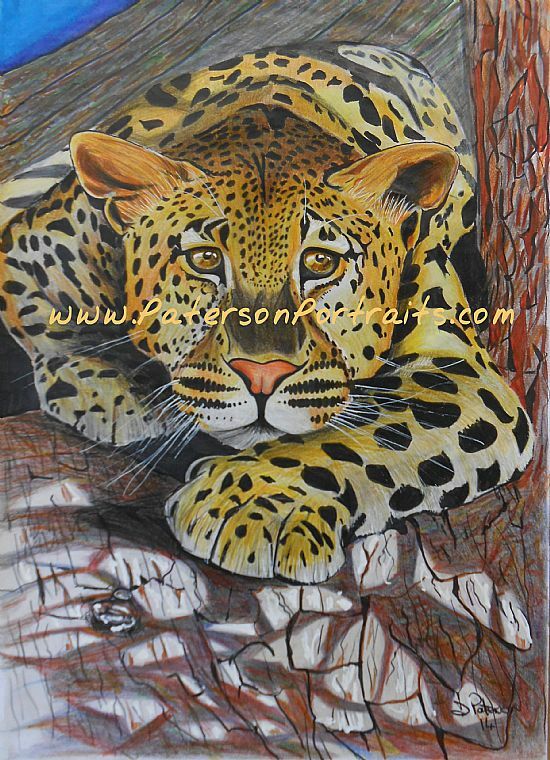 This fun drawing of a Leopard crouching on a branch is colourfully drawn using watercolour pencils and felt pens. 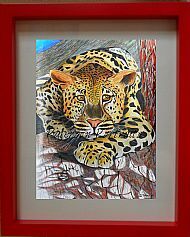 It is drawn with photographic perspective giving the illusion that you could put your hand behind the Leopard. The original comes mounted and framed.